This week's episode of Speechless involves shipping, particularly the students at Lafayette shipping J.J. and a new student with cerebral palsy. Maya becomes concerned with the behavior of Ray and his girlfriend Taylor, because they aren't behaving like normal kids their age, and instead are planning out their future. She goes to Jimmy, worried that they are responsible for Ray being how he is, who hilariously responds "I'm a big nature over nurture guy, it makes parenting easier." Eventually, after the duo hilariously tries to set Kenneth up with Dylan so that J.J. will live with Dylan in the future and they will only have to take care of one special needs sibling, Maya decides she needs to take action to help them: "We broke you, we're going to fix you." Maya, Jimmy, Ray, and Taylor go mini-golfing. There, Ray and Taylor realize that they are overthinking things, and that things can work with them not thinking. However, Ray takes this too far, telling Taylor that he loves her too early. 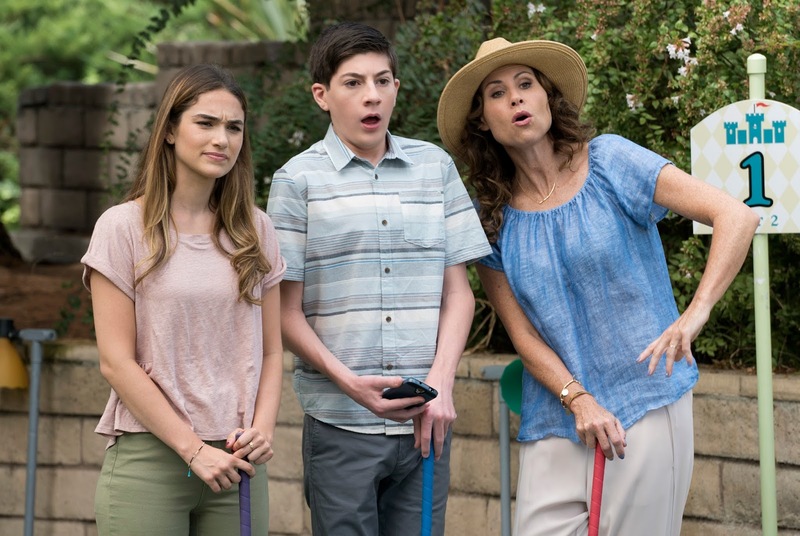 At mini-golf, Maya discovers something that Jimmy has been holding onto for a long time, that he was all the way in Vegas when Maya found out that J.J. had cerebral palsy. The seriousness of this moment is great, and it really speaks to Jimmy's character. It's great when Maya expresses how great it is that Jimmy has been there for every moment since then, and when she takes him on a vacation to Vegas to make new memories. This was a beautiful story for this relationship. Meanwhile, everyone at school wants J.J. and a new girl with cerebral palsy to be in a relationship. I like how this was a situation that Kenneth was able to relate to, with people often shipping him and black women for no reason other than race. This story has some funny moments, like when J.J. and the girl conclude that it's progress that they weren't chosen as homecoming king and queen, and the ending where Kenneth ends up liking the girl that they want him to be with. Dylan is disappointed by the school's decision on pranks, and she tries to recruit people to help her pull off a great prank. She ends up going to some alumni to help her pull of a prank. They have an interesting dynamic, and the ending is really funny, where they ended up pulling a prank on Dylan. This was a very strong episode of Speechless. Ray and Taylor were very funny, and the Maya and Jimmy story was great. J.J. and Dylan also had great stories this week. This was the best episode of the season so far. What did you think of "S-H-SHIPPING"? Leave your thoughts in the comments!